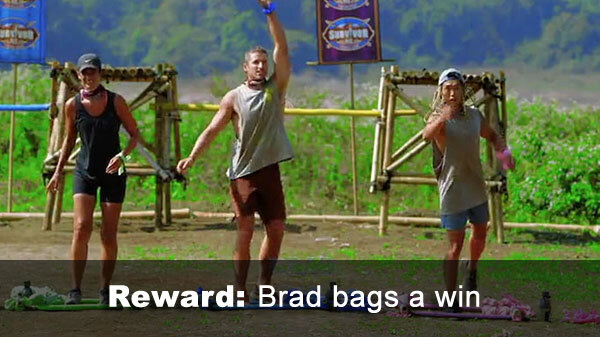 Ep.9 Reward challenge: "5x5" - Brad hits two closing shots, scoring an individual win. Which seems less win-like when he has to pick three people to join him... for tuna melts. But at least he doesn't get Joe Del Campo-ed afterward. 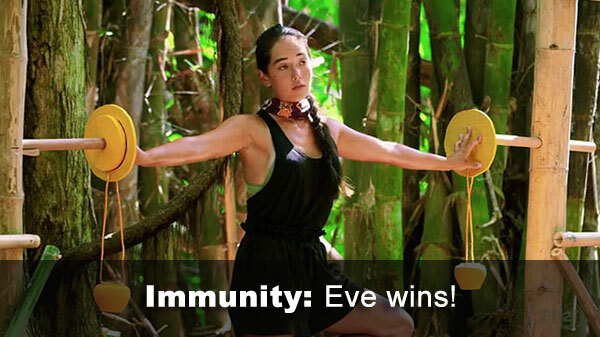 Ep.9 Immunity challenge: "This Much" - Completing the Kaoh Rong flashback, Eve wins, as justice for Aubry. Ep.9 voted out: Brad, 5-3-1 over Dave and Renee, respectively. Neither Brad nor Dave plays an idol. - Nothing really notable scoring-wise this episode, especially with the lack of idol plays. 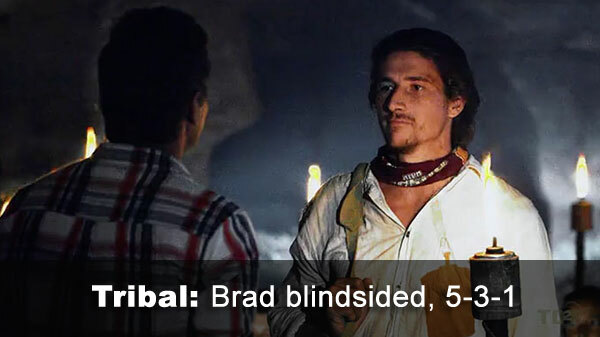 - Brad received 5 votes, from Matt, Lisa, Tara, Dave, and Eve (voted out, 5-3-1). - Dave received 3 votes, from Adam, Renee, and Tess. - Renee received 1 vote, from Brad. %Fin: Percent finish - roughly, percent of a win achieved, with 1 being 100%. MPF: Mean % finish - mean of all % finishes in individual challenges.